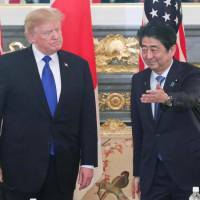 Prime Minister Shinzo Abe said on Friday that he and U.S. President Donald Trump agreed to meet in the United States next month, following Washington’s announcement that Trump is ready to meet North Korean leader Kim Jong Un for the first time ever. 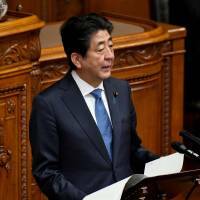 During a 30-minute teleconference with Trump, Abe said they agreed to hold the summit in April to discuss North Korea and the long-unresolved issue of Japanese citizens abducted by North Korean agents in the 1970s and ’80s — one of the top priorities of the Abe administration. Japan played it cool on the surface but may have been secretly dismayed at the thought of being left behind as Washington and Pyongyang fast approached what appeared to be a diplomatic breakthrough, experts said. They said the burgeoning momentum for dialogue between the two longtime adversaries will likely put Japan in a tough spot, potentially leaving it exploring the option of ditching its hard-line policy against the North to prioritize harmony with its most important ally, the U.S.
Abe said he “thinks highly of Pyongyang’s shifting ground” signified by its articulate pledge for denuclearization, and attributed its overtures to ever-intensifying sanctions imposed by the global community. While hailing Pyongyang’s apparent shift in attitude, Abe said he also agreed with Trump that the two allies will at the moment stick to its “maximum pressure” tactics to ensure the regime, notorious for broken promises, won’t renege again. Japan has long insisted that Tokyo and Washington are firmly of the opinion that “dialogue for the sake of dialogue” is meaningless and that the opening of formal talks with the regime must be conditional on Pyongyang taking tangible steps toward the “complete, verifiable and irreversible” dismantlement of its nuclear programs. Asked if the North’s proclaimed commitment to denuclearization suggests the reclusive country is moving toward that goal, Chief Cabinet Secretary Yoshihide Suga expressed guarded optimism that it is. “I think they are headed toward that direction,” Suga said. A high-ranking Japanese official, however, said while Japan welcomes the prospect of a Trump-Kim meeting, “a bar we set for dialogue with the North has not been lowered,” emphasizing Tokyo will continue to “keep a close watch” on whether Pyongyang will actually walk the walk. Repeating Abe’s assertion, he said, “We will press ahead with sanctions” against the regime. But some experts believe that Japan is unlikely to uphold its hard-line approach toward Pyongyang at the risk of marring its watertight alliance with the U.S.
Tsuneo Watanabe, a senior fellow at the Sasakawa Peace Foundation, said that by making overtures toward Seoul and Washington in recent weeks and days, Pyongyang is likely trying to harm their trilateral alliance with Japan. 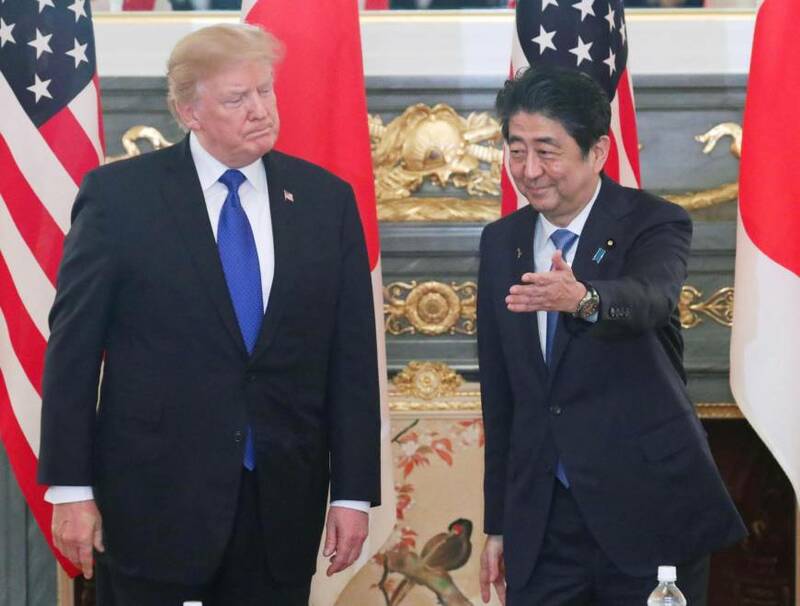 Under such a circumstance, Abe would “prioritize the Japan-U.S. ties and his personal relationship with Trump” over the maximum-pressure policy, he said. Mintaro Oba, a former State Department diplomat specializing in North Korea, agrees. 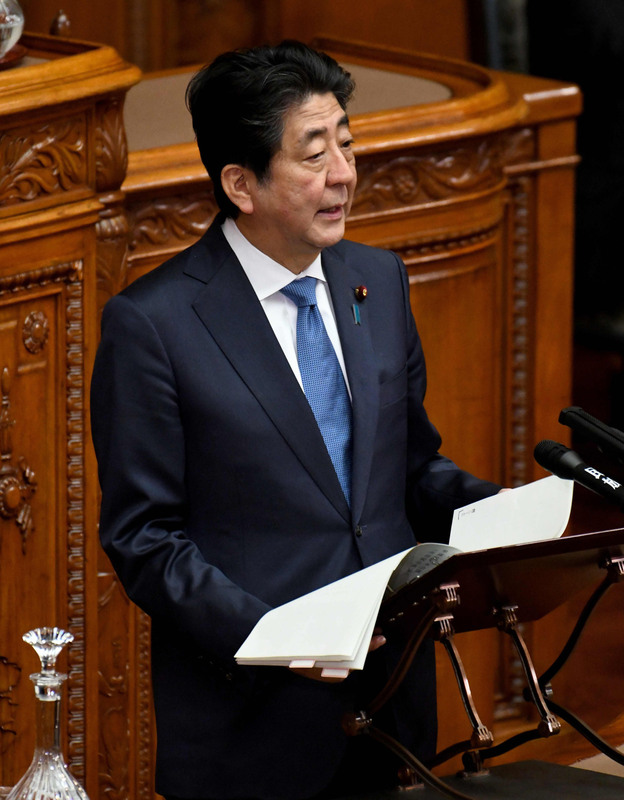 “Prime Minister Abe has shown repeatedly that he is a deft operator when it comes to keeping Japan in Washington’s good graces. He may not be thrilled by this development, but he is going to make every effort to be on the same page as the United States,” he said. While arguing against an easy lifting of sanctions on Pyongyang as a result of the Trump-Kim meeting, Ryo Sahashi, an associate professor of international politics at Kanagawa University, stressed Japan has a good reason to keep up strong bilateral relations with Washington. The worst scenario for Japan, he said, is to be forced into an independent negotiation with North Korea, where Pyongyang would likely take advantage of Tokyo over the abduction issue. Meanwhile, questions remain over what Pyongyang means by denuclearization. The regime has long taken the word to mean ridding the whole Korean Peninsula — rather than just Pyongyang — of nuclear weapons, a scenario that would necessitate the withdrawal of U.S. troops stationed on South Korean soil.